Minding Spot: Honor and Innocence: Against the Tides of War by Glen Thomas Hierlmeier Spotlight & Giveaway! Honor and Innocence: Against the Tides of War by Glen Thomas Hierlmeier Spotlight & Giveaway! During his service, Hank befriends a German prisoner-of-war, Max, who tells Hank of his twin sister, Roberta, also in captivity. An unlikely romance buds between her and Hank, leaving Hank conflicted between his allegiance to the American Army and his love for Roberta. Hank decides to break out Max and Roberta, and together they make a desperate flight through warn-torn Germany where they witness first-hand the destruction post-war Europe has endured. Leaving Max behind in Switzerland, they make their way to the port city of Trieste, where they board a ship and make their way to the seas, dealing with pirates, making new friends, and setting off for new adventure. Follow Hank and Roberta on their intense and captivating journey from country to country as they seek refuge. Read as they make their way through bombed-out cities filled with dead bodies, giving a rare glimpse into the tragic consequences of war as they remain together bound by love. Hank couldn’t deny how he felt; he felt fantastic, incredible. He had met the girl of his dreams---love at first sight. He couldn’t wait to see her again. She was everything he had always imagined she would be, everything he hoped for in a woman. Yet, he began to wonder, is this real? Could it be possible for two people to be in love when they’ve only known each other for two days? Was he being foolish? Had the events of the past five months and his absence from the comforts of home made him vulnerable in a dangerous way? A frightful pang of fear shot through his gut as he thought: Is she just using me? Does she see me as her way out of confinement? Am I being fooled by her? Maybe she doesn’t care about me at all; she only needs me to get what she really wants. Why should I trust her? I don’t really know her. Oh, what a fool I must be to fall for the first beautiful woman who shows an interest in me, who caresses me. Am I that vulnerable? Am I that foolish? Hank, you are such a precious son. I adore you. I am sad when you are sad, but you must know this pain you feel will pass. Sometimes love is fleeting, it may disappear as quickly as it appears. You have your whole life ahead of you. I know you will meet the woman who will love you completely, and for your lifetime. I have no doubt. Love between a man and a woman cannot be easily defined; love comes in many forms and is never the same for everyone. Almost always love charges into your life like a cosmic experience, even magical, it is so difficult to predict or understand. Sometimes that special feeling in your heart really is true love---sometimes not. When love comes suddenly, we can be swept off our feet. It’s a dazzling experience that confuses us. That’s often called love at first sight, but it’s never really love at first sight. If it happens to you, don’t take it for granted, it’s very special and you won’t want to lose it. It’s one of the best feelings you will ever have, and I believe the best beginning for true love. Hank just shook his head slowly, disgusted that his actions had led to such a momentous decision point. Visions of his home in Wisconsin flashed through his mind---his mother, father, sister, the farm, the hills, the lakes, fishing, hunting, and all the many things he loved and missed so much. He was confused and conflicted. His mind told him to do the right thing, but his heart ached. He felt all that he had held most dear in his life passing away, while his heart yearned for Roberta, alone and locked up not more than two hundred yards away. At that moment, his past seemed to slip painfully away, his present boiled, his future lay uncertain. His world was closing in to suffocate him. Once Hank committed himself to helping Max and Roberta he was fully engaged and wasn’t looking back. In all probability he would never be able to go back to his former life, and he knew how much he was sacrificing. Ironically, he again drew strength from his family in Wisconsin---a strong work ethic based on his German ancestry, and a determination to complete every task to the best of his ability. “If you are going to do it, do the best job you can do and don’t give up until the job is done,” his father used to tell him. His mind was clear, he accepted his predicament, and focused on his next challenge. By the time the three of them returned to Richard’s place, Hank had a plan. By the time the bugler played “Taps” signaling the end of the day and lights-out, he and everyone in the barracks were in their bunks. As soon as he closed his eyes he saw the image of Roberta against a backdrop of the moon and the stars as if the universe held their future together. He never saw the heavens so bright and clear. He chuckled to himself and a half grin lifted one side of his face as he thought to himself, They say we haven’t known each other long enough, but I’m not going to miss the one chance I may have in my life to keep the girl of my dreams---I know the shining star I see. I don’t know what may come in the days ahead, but I know what tomorrow will bring, and I am at peace. Just as Stein had the previous two days, he motioned Hank to his office as he walked in. This time, Stein had a different look on his face, a curious look as if he had just discovered a big secret, and he was in a hurry. Hank rose quickly, sensing an urgency, and sat across the desk from Stein. Stein put his feet up on the desk and leaned back in his chair. Hank hadn’t seen him do that before. Stein’s “curious look” turned into a “you-won’t-believe-what-I-just-found-out” kind of expression that shook Hank up. He wasn’t prepared for any surprises---not on this day! Hank was never comfortable calling him Stein, he thought it was just Stein’s way of getting people to drop their guard---and Hank wasn’t about to drop his guard. Hank couldn’t believe what he heard. Haynes coming to Hamburg now---to work with them? If Stein agreed that he be assigned to work with them, then Haynes must not have made any accusations against him. Hank sensed an opportunity he had to grab before it was too late. The wind went out of his sails a little. Every little glitch could be fatal, he thought, while he told himself not to worry---it’s just routine. While the call was being made, Hank thought of another strategy that was worth trying. It was just past 0830 when they approached the burned farmhouse about half way to the camp. Hank was getting more anxious with every minute that passed, thinking of seeing Roberta and how surprised she might be to see him. He thought he would have to get a signal to her so she wouldn’t look happy to see him and raise suspicion. He worried that Max wouldn’t be in the woods, but as they approached, Hank was in the passenger seat in the front and caught a glimpse of Max tucked into the woods, out of sight if you weren’t looking right at him. His heart began to race---everything seemed to be working as planned. Hank put his hand out the window and up over the roof where the driver couldn’t see him give Max an assuring wave. The driver was amused and stretched back against his seat, unsuspecting. Hank was pleased---one more step successfully executed. Glen graduated from the United States Air Force Academy in Colorado Springs, Colorado, then earned a Masters of Business Administration at The University of Wisconsin at Madison. He served in the US Air Force on the Manned Orbiting Laboratory space exploration program and on the design phase of the development of the F-15 fighter aircraft. After leaving the Air Force, Glen returned to Wisconsin and became Vice President of the largest bank in his home state, First Wisconsin National Bank. In 1979, he moved on to become President and CEO of several real estate development and management companies. 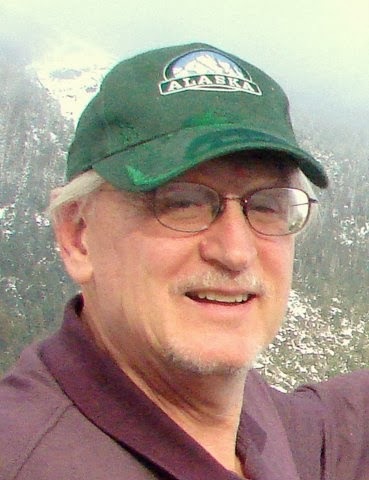 Glen retired in 2009 to devote full time to his grandchildren and his writing. Glen is the author of Honor and Innocence, We Had to Live: We Had No Choice…, and Thoughts From Yesterday: Moments to Remember. 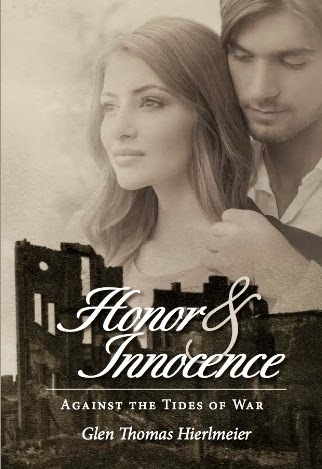 One lucky reader will win a kindle copy of Honor and Innocence!